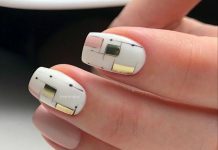 It is very rare in the website to have a specific nail art theme that mentions a country which we actually don’t really know if the design technique really originates from there. 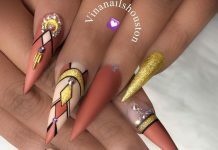 However, this next post of a country-named nail art design is surely a hit to all women out there who wants spiced up designs for their nails. Behold the white French tip nail art. 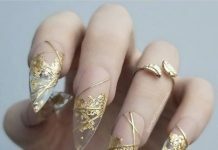 The design is probably one of the easiest and most simple nail art design a woman could experience to have. Achieving a perfect French tip may not be an easy feat to do but still, the art belong the minimalistic approach. What the designs have to be set apart from each other are probably the accents employed. Some nails have a secondary line of color that may on top of the white or below. 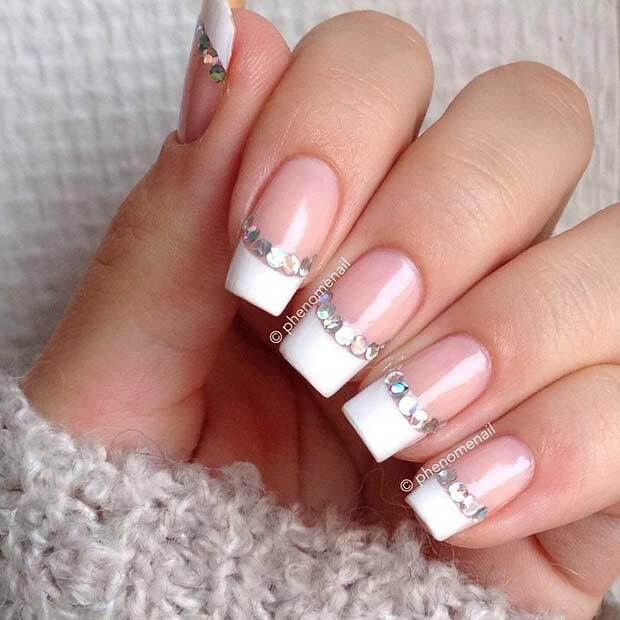 Some French tips are lined with jewel or glittered. Anyways, just check out the featured designs for today. You won’t be regretting having to scroll down for a bit to appreciate the selected designs since all of it are something you ladies can try on for yourselves. Select one now and experience the elegance of white French tips.